Fine Scotch whiskey demands a fine Scotch flask to port it in. Hence this 5 1/2-inch tall x 4 1/2-inch wide Outlander 6 oz. 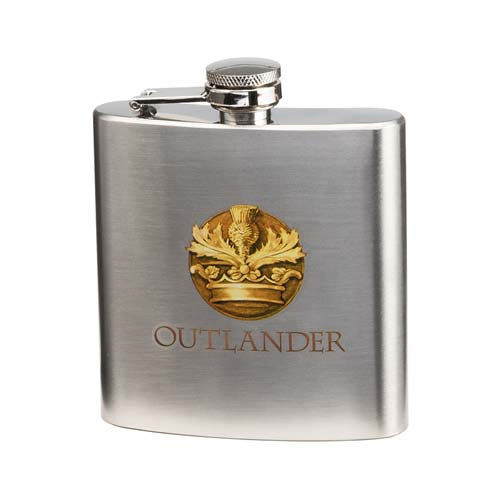 Stainless Steel Flask boasting the crown and thistle Outlander logo. It comes packaged in an embossed gift box. Ages 13 and up.